To Native Americans, the circle is a common concept. We believe all things in creation follow the circle of life. The moon, the earth, the life of human beings, the life cycle of plants and animals and much more. The circle is a symbol of the continual progression that all life on earth follows. Another important concept is the four directions of the circle. The architectural design of our campus depicts both concepts and uses symbols from the Northwest Coastal and Lakota Nations, joining them in unity. More than 90 different tribes are embodied by students and staff at Chief Leschi. At the center of the school is the Sacred Circle, a spot of earth undisturbed throughout the construction of our school. Our campus is organized along the East/West – North/South axis. The Elementary building is located on the east axis, representing the idea that children are new, like the beginning of a new day. The Middle School/High School building is located on the west axis, representing youth growing towards adulthood. Each building opens to the Sacred Circle, with communal places such as the library, cafeteria, commons and the small gym located closest to the center. Classrooms are located on the outer perimeters. During construction, workers were careful not to disturb the Sacred Circle and today, students and staff show respect by not entering or disturbing this spiritual ground. Many people attended the special blessing ceremony held before the opening of the school. Four colors of stones were placed at the base of the totem pole to represent the four races of Man. The figures on the totem pole have specific significance. On the bottom is the man waiting for the school to be built. The hawk represents the hawk that flies around the school. The man in the hawk represents the spirit of the carver. Our school has many visual examples of traditional Northwest culture to remind students of their rich heritage.The outside walls of the buildings illustrate in brickwork the beautiful patterns used on Salish baskets. The natural colors are from Mother Earth. 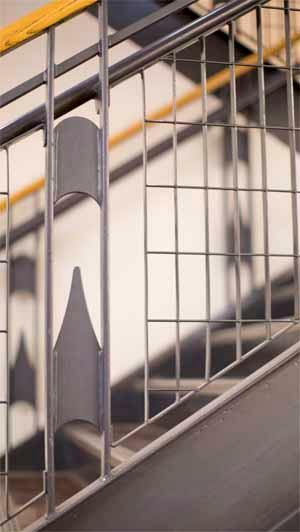 The stairway railings are examples of fishing nets used in this area and the mending needles used to mend them. The second floor of both Elementary and Middle School/High School buildings represent a Coastal longhouse. The ceiling is made of cedar wood and the sunroofs represent the smoke holes. The large windows on each end of the second floor are in the design of a standing feather. This represents the importance of the eagle feather in Native American tradition. On the outside walls of the buildings you will also see mask sculptures. These are Northwest Coastal designs created by Al Zantua.